Are housing affordability measures working - and helping those who need it most? When it comes to the issue of affordable housing in British Columbia, few would argue we clearly need more. The larger debate lies regarding how and what it will take to develop affordable housing on a scale big enough to actually start making a dent. If you are a municipal, provincial, or federal politician, the pressure to take action can only be described as relentless. Sit back and appear to do nothing and it may be the end of your political career. That’s because the public and media pundits are basically done with passive politicians who continue to push the notion that the sole solution is an increase in supply. Taking action may sound simple, but the reality is government initiatives are as risky as walking in a minefield with a blindfold. That’s due to the fact there are only a handful of effective ways government can truly make housing affordable again. Attempts so far have focused on directly funding or providing financial incentives for the private sector to undertake the construction of affordable housing. Alternatively, government has also provided individuals with subsidies to make their accommodation more affordable. For example, the City of Vancouver implemented their Rent 100 program, which encourages the development of more rental housing. While this may be a noble gesture, critics argue this type of a program does little to address the affordability crisis; the units charge market rents. We all know that’s well above what the average Vancouverite considers a reasonable price for accommodation. Vancouver was also first to introduce their own Vacancy Tax which penalizes anyone who leaves their homes empty for a period of more than six months. In its first year, the tax was expected to generate $38 million in new revenue for City Hall. These funds will ostensibly be used to support affordable housing strategies, but nowhere near enough to implement a city-wide strategy. The Province of BC operates several programs, including Shelter Aid For Elderly Renters (SAFER) and the Rental Assistance Program (RAP). Both target lower-income British Columbians struggling to make ends meet due to unaffordable rents. Where there remains a significant void are programs which provide middle-income earners with better access to affordable housing. In the last election, the NDP promised to provide all renters with a $400 per year subsidy, but that was abandoned when their Green Party partners gave it the big thumbs down. The NDP say they remain committed to eventually meeting this commitment. However, this is only likely if voters provide them with a stable majority government – something that could be a couple of years off. One other option includes having government build more CO-OP and subsidized housing in regions most impacted by a lack of affordability. While this is worth pursuing, to build this type of housing on a scale required to make a dent in the affordability crisis would take years – and cost more than most governments are prepared to invest. The only real option that has any chance of working in the short term, albeit hugely politically risky, is to try and adjust market forces and start bringing the overall price of homes down. In other words, introduce new punitive tax measures that begin to ramp down the demand for housing, which in turn will drive the prices of homes down to more affordable levels. In support of those efforts, the federal government introduced a tough new ‘stress test’ which helped limit who qualifies for a mortgage. Analysts say while this will reduce the risk of foreclosures, it cuts out people trying to get into the housing market for the first time. Over the last three years, both the former BC Liberal and current NDP government have taken some drastic actions. In 2016, the BC Liberals introduced a new 15% foreign buyers tax in Metro Vancouver. The tax was originally to be paid by all foreigners purchasing homes, but was subsequently amended to exclude anyone with a work permit. Not to be outdone, the new NDP/Green government went even further, increasing the foreign buyers tax to 20%. The tax was expanded to include the Fraser Valley, Capital Regional District, Nanaimo Regional District, and Central Okanagan. Oddly, tourist towns like Whistler, also facing a serious crisis in affordability, were excluded. The NDP then introduced a new Speculation and Vacancy Tax. If you own a property in a “hot zone” and purposely leave it empty, you face a whopping annual tax bill on top of your basic property tax. According to the Ministry of Finance, 99% of British Columbians are exempt from the tax, but everyone needs to complete the paperwork. As for the 1% targeted with this measure, in 2019 and subsequent years, the tax rate is 2% of the assessed value of the home for foreign owners and satellite families. It is 0.5% for Canadian citizens, or permanent residents of Canada who are not members of a satellite family. 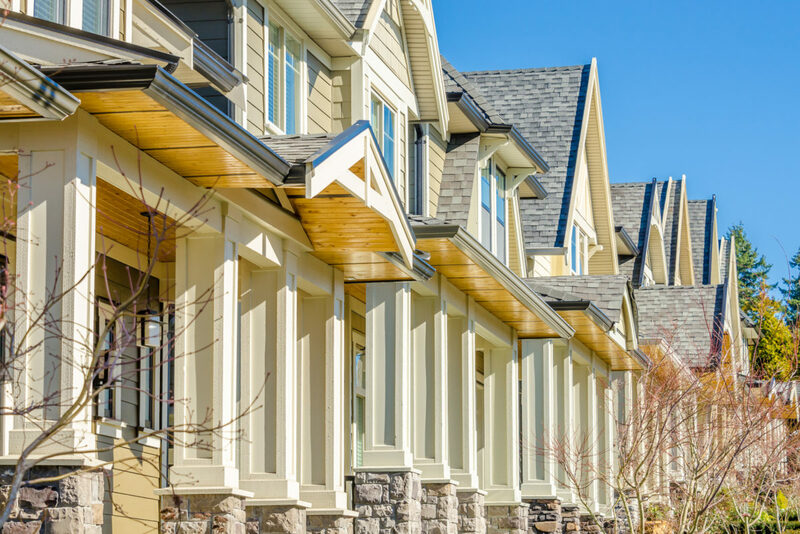 In early April, the Real Estate Board of Greater Vancouver (REBGV) provided a bit of insight as to whether these new tax, home financing, and regulatory measures were having the desired effect. Were they reducing the value of everyone’s home to the point that they become more affordable? The answer is yes, and no. In terms of higher end homes in more affluent communities, the impact has been fairly dramatic. It is clearly a lot more “affordable” to buy a mansion in places like West Vancouver where prices have plummeted by 17.1% over the last year. In less affluent communities throughout the region, families have seen the value of their homes take a plunge as well. In Port Coquitlam single family home prices are down 10.1%, while in Burnaby East and New Westminster prices have dropped by 11.8%. The average price for a home in the Royal City is now just over one million bucks – still nowhere near what can be considered affordable for the average Metro Vancouver family. For single family homes to become affordable, we will have to see further declines in home values of at least another 20-30% over the next two years. Based on the fact home sales are now at near historic lows, this may come to fruition sooner than we think. This is especially true given that, even after some significant price declines, government is nowhere near effectively tackling housing affordability. Interestingly, the decrease in prices for condominiums over the last year have remained in the single digits, with an average drop of 5.9%. Notwithstanding all newly-implemented government policies, prices for these less expensive properties have been less inclined to fall. All this begs the question: if these policies make mansions in West Vancouver more “affordable,” but have less impact on condos, is it actually working? More importantly, how far are voters willing to support activist politicians hellbent on the intended consequence of tackling the affordability crisis by further lowering the value of their home? 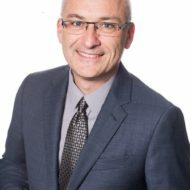 Daniel Fontaine is the Chief Executive Officer for a non-profit seniors care organization based in Burnaby. A former weekly civic affairs columnist for 24 Hours Newspaper, Fontaine has been a political commentator on Global TV and CKNW radio. In 2008 he co-founded one of Canada’s most popular civic affairs blogs. In 2012, Fontaine was awarded the Queen’s Diamond Jubilee Medal for public service.